Welcome to week 9 of Photography Friday. Photography Friday is a 20 week challenge to help improve our photography skills. There is a weekly prompt / theme for each week that you can be as creative with as you'd like. This week's theme is a from a low angle and next week's theme is from a high angle. For further information please click here. Even though shooting from a low angle isn't something I'm familiar with I ended up having a good time taking some pictures. 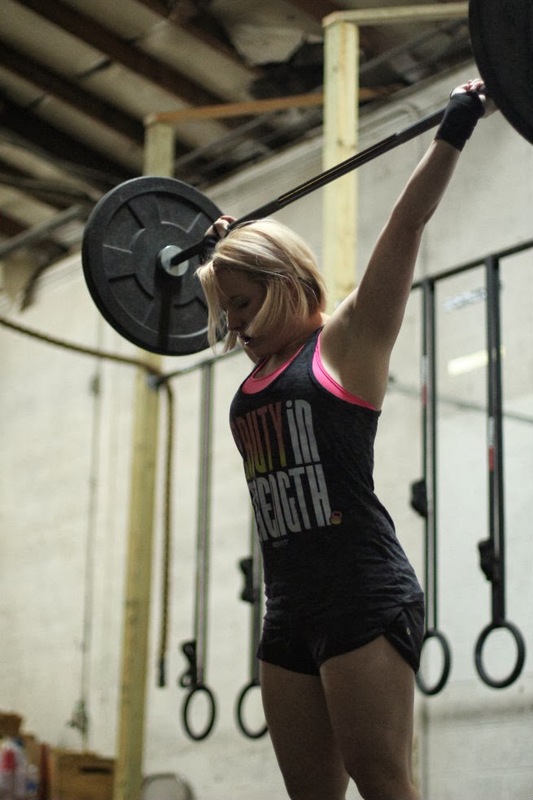 I don't mention it much on my blog but I do crossfit. This past week was the opening season of the open workouts. The open workouts are open to anyone, anywhere. 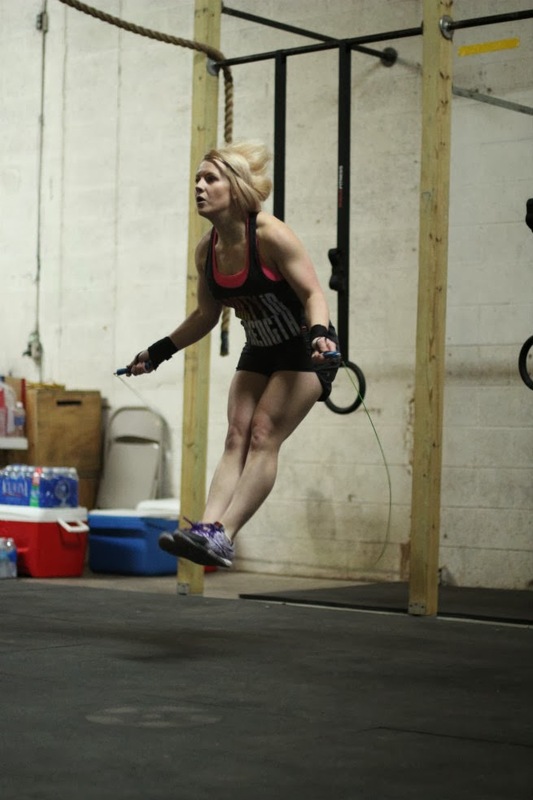 Those who do really well advance to the next level until they reach the crossfit games. 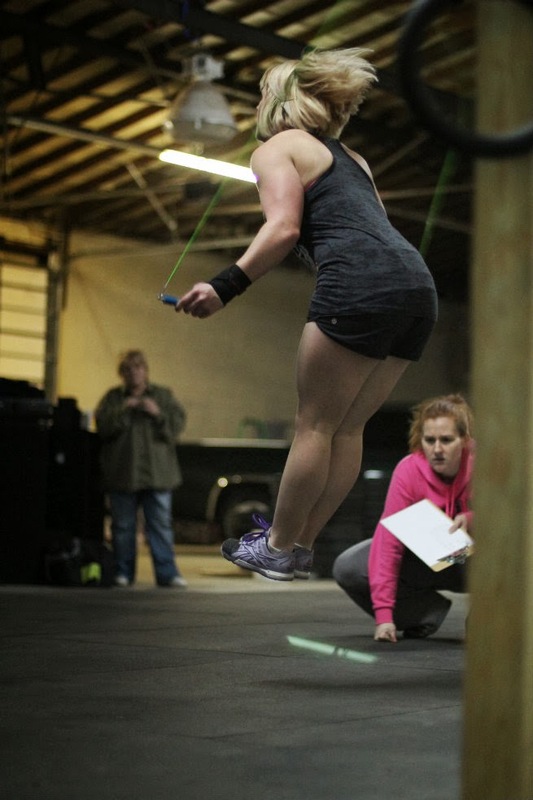 I didn't sign up for the open workouts but the owner and trainer of our crossfit gym did. Her name is Callie and she was nice enough to let me take pictures while she worked out. 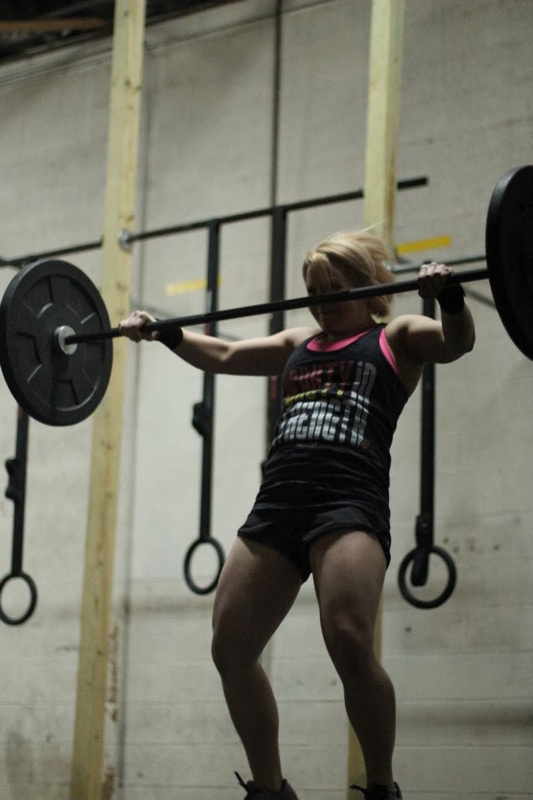 The crossfit gym doesn't have great lighting and I wasn't about to use my flash especially while someone was competing. I still got some great shots and Callie was in beast mode! She did a great job and I'm glad I got to capture some of it. Here are my photography questions - how do you get a clear picture in low lighting? I know my images are pixelated but getting an action shot in low lighting is hard. Please feel free to link-up your Photography Friday Post. I'd love to see what you capture and I'd also love some feedback on my pictures. Today I'm over on Oak & Oats helping host a fun giveaway. Hope on over and check it out here. It is tough getting a low light shot! Is that as high as your ISO goes? You did a good job keeping your f-stop wide open to allow the most light! As far as action shots go, the faster the shutter speed the more 'crisp' the pictures will be (but the lighting will gradually get darker), minimizing blur. BUT in low light if you bring that number closer to a whole number it makes the picture LIGHTER and causes more blur. Ah the dilemma of low light photography. I still don't know what to do. lol. Use flash?? Hopefully one day I'll figure it out. My ISO goes up to 6000+ however, I knew it would look super grainy so I opted not to do that. I'll have to try to up my ss and see if it makes it clear or dark. Thanks for the feedback. Use your flash. I was having the same problem and getting super frustrated with the grainy pictures. I'm not a huge fan of using the flash, but if you have the WB set properly, you then get a crisper picture. It depends on how you want it to look. No, the lighting isn't "natural", but if you're indoors-it's not natural anyways. So the decision is grainy, dark, or flash. Play around with it on and off and see what you like better. After the fact, I see why you didn't want to use flash......but the other option is stepping yourself further back (if using the flash) and zooming in more. You will still get better lighting, and hopefully not disturb your subject too much. My trick is Lightroom. The Noise Reduction feature is amazing and will help drastically reduce the graininess from using a high ISO. Always tricky since the subject is moving and you can't use a tripod with low ISO obviously, but I second Lightroom. I use it a lot to decrease the grain in photos! Cody - that's a good idea. I did notice that when I went behind Callie that the lighting got better so maybe part of it is that I need to move around more. Thanks for that tip! I agree that sometimes a flash is necessary. If it wouldn't disturb my friend I totally would have done that. I'll have to try zooming in more and stepping back more. I didn't think about that aspect of it! Thanks! Well - I never thought of that! Oddly enough, I bought lightroom but haven't used it because I haven't taken any classes or re-searched how it works. It is on my list of things to do soon. Once I learn more bout LR I think I will edit these. Thanks for sharing that with me. I hope it helps. And your welcome. The best photo editors for mac and windows that I've ever met. And it was useful, because edit photos on mac can be tricky. I really advise you to check it out.